If you are thinking about opening a daycare for the local community from home or rented structure, you should seriously consider commercial duty preschool and daycare furniture to help you develop a good work and play environment for your kids – and let parents know that you mean business. When a parent walks into a daycare facility, they don’t want to see your personal furniture. Without appropriate furniture, your school will appear to be unprofessional and slap shod, no matter what the quality of daycare you have. Parents and children expect any facility that looks like it’s there in a professional, safe environment. 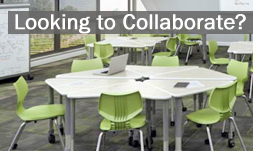 If you want to have a functional teaching area, you’ll need to find some school furniture for them to work on. Arts and crafts, glue, finger paint, crayons and any number of other fun activities for kids should only be done on easy to clean, no hassle, no worry surfaces. Having a classroom rug is another must if you want to protect your floors. Worthington Direct can provide you with everything you need at low prices for great products such as Jonti-Craft preschool furniture. School desks, chairs, bulletin and cork boards, dry erase and chalk boards, lockers, outdoor furniture, even risers and stages are also available. You don’t have to start big but you can start on the right foot with some commercial quality school furniture that will show your students and their parents that you know exactly what a daycare center needs. You can work your way up until you have an entire school room suite while still saving money and helping your kids. Contact us for details on items, pricing shipping and handling or anything else you want to know!